Artwork inspired by images and data from Dr. Bruns’ eclipse experiment website. This is an update on Dr. Don Bruns’s attempt to measure star-position deflection with our Tele Vue-NP101is telescope during this past August’s solar eclipse. His goal was not just to duplicate the famous 1919 experiment (by Sir Arthur Eddington that proved Dr. Einstein’s General Theory of Relativity), but to demonstrate that portable, readily available amateur equipment can produce results that rival that of professional hardware from past decades. His experiment was to “determine Einstein’s deflection to an accuracy of 1%, the best optical measurement of the deflection ever demonstrated.” He points out that a professional attempt at the 1973 eclipse achieved an error of 11%. 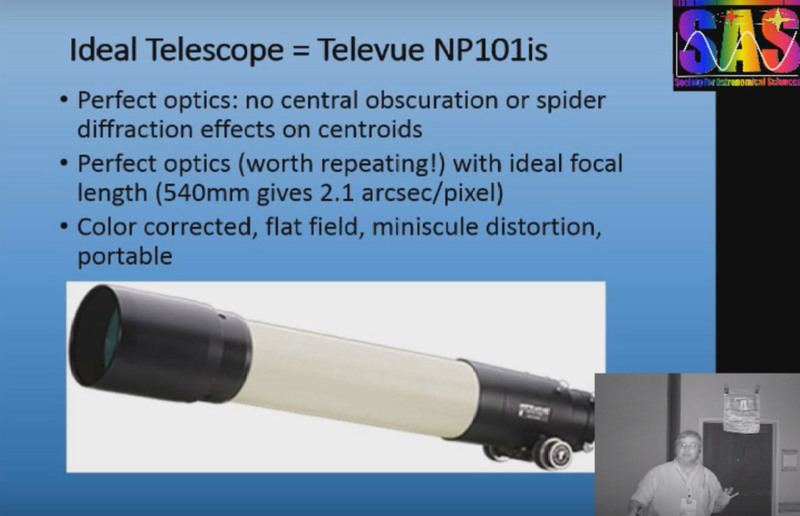 See our blog post “Tele Vue NP101is to Test Einstein’s General Relativity” for more background. Dr. Bruns was at the Astronomical League convention in Casper, Wyoming for the August 21st eclipse where he gave a talk explaining his goal. He then carried out the experiment nearby. Shortly after the eclipse, we received some good news from Dr. Bruns via post-card and email. 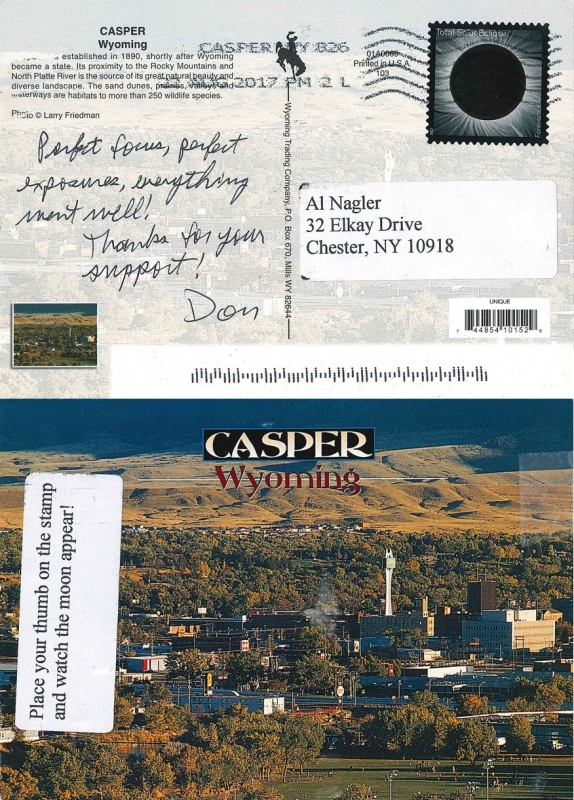 Dr. Bruns’ postcard from Casper, WY. I had perfect focus, perfect exposure, perfect timing, perfect tracking, no clouds, no wind, and excellent seeing. In fact, the seeing might have been too good — many of the images have FWHM only 1.2 pixels! I counted 12 bright stars (signal-to-noise ratio greater than 5), and six more dim stars (SNR 2 to 5) in my first looks. I have a lot of analysis to do, but am looking forward to it. I was also able to get twilight flats and more distortion calibration and other test images on the previous two evenings. Thank you for supporting me in this experiment! My speech at Astrocon also went very well. 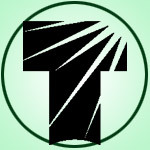 When I mentioned the support I received from Tele Vue, FLI, and Bisque, the 400-500 people in audience all applauded! It will be a few months before I can report the final numbers, but I’ll be posting pictures on my web page. Lots of good photos of the setup. I’ve received e-mails from universities from Australia to Zimbabwe asking about my results, but I’ll let my sponsors know first. Since then Dr. Bruns has updated the world on his analysis of the data through his Repeating the Experiment that Made Einstein Famous webpage. His initial report is that “21 very accurate, but dim, stars are measurable” after combining 34 eclipse images (0.62″ exposures). He was able to bag two additional stars in the inner corona and very close to the solar disk by combining 11 shorter exposures (0.09″). “I was originally hoping to see 8 stars that would be bright enough to get good data (Eddington based his analysis on only 5 stars in 1919!). The data shows me many more stars, so I am convinced that my final results will be much better”, asserts Dr. Bruns. Stars that will be used for deflection measurement overlain on negative image of eclipsed sun. 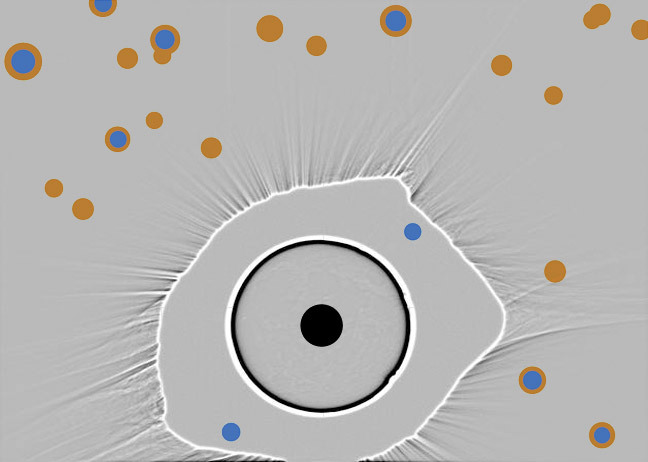 Orange dots mark the location of the 21 stars found in the 0.62″ exposures. 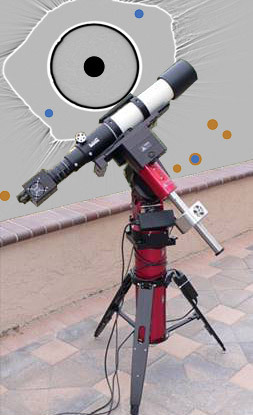 Blue dots are the stars found in the 0.09″ exposures. Adapted from Dr. Brun’s website “Data Analysis of Eclipse Images”, (9/18/2017). The final report on the eclipse will be published in an astronomical journal in 2018. Dr. Bruns will make a public presentation of his results at the 2018 Northeast Astronomy Forum, to be held April 21 & 22, 2018 at SUNY Rockland Community College in Suffern, NY. Screen grab from Repeating the Experiment that made Einstein Famous presentation by Dr. Bruns at the 2016 Symposium of the Society for Astronomical Sciences (SAS). Dr. Bruns SAS presentation on YouTube explains the explains the experiment in detail. “Tele Vue NP101is to Test Einstein’s General Relativity” (3/21/2017) blog post.